Today, I'm enjoying a perfect day in my backyard...the sun is shining without a cloud in the sky and the temperature is a wonderful 65 degrees. As I watch Riley romp and play about with her outdoor toys, I realize that our backyard could easily be transformed into a children's paradise by the addition of a high-quality wooden playset. In an age full of technology and video games, a Carolina Playset can easily revive your child's outdoor spirit and imagination, while simultaneously getting kids outside and more physically active. 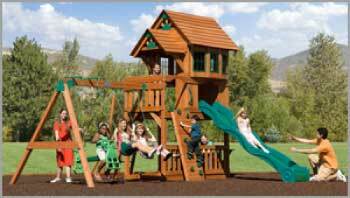 Carolina Playsets features and promotes American made products, manufactured with American lumber (usually southern pine) and offers high quality outdoor playsets at very competitive prices. Carolina Playsets also offers other less expensive product lines, providing an economical solution for a tight budget. When it comes to swing sets and outdoor play equipment, they offer a wide range of products and will help you find the perfect playset for your backyard. They are based in Hudson, NC and offer quality playsets and professional installation services throughout North and South Carolina. Carolina Playsets offers free on-site yard evaluations, makes recommendations, and strives to give their customers the most satisfying experience. No need to worry about damaged products showing up from some third party common carrier either. Carolina Playsets delivers your outdoor wooden playset directly to your location and their courteous staff will install your outdoor playground for you. If there happens to be an issue with a product, their team will properly handle the situation and make sure the playset is installed without a hitch. With spring right around the corner, use Carolina Playsets to successfully transform your backyard into an outdoor Mecca for your little ones. 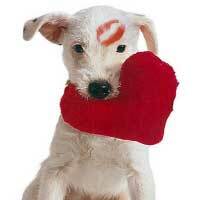 Let them help you and your family take advantage of more fresh air and sunshine today! Disclosure: This post was sponsored by Carolina Playsets. All opinions are 100% mine.